Surfability UK is a Community Interest Company that provides surfing lessons and experiences for people with disabilities and learning difficulties. Our aim is to combine best practice from special education, health care, surfing and lifeguarding to make surfing as inclusive as possible. We cater for an individual’s additional needs so they can get the most out of surfing while having a safe and really enjoyable experience. Based at the beautiful Caswell Bay on the Gower, we have access to some of the UK’s best beginner waves. We can also provide lessons at the LC Leisure Centre, Swansea, on their indoor standing wave. This means we are able to operate year round and our regular surfers can really build their skills. 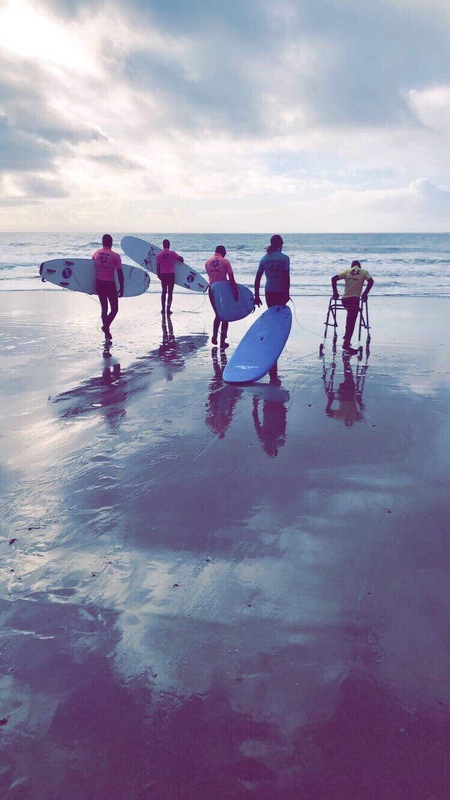 Our equipment, such as beach access wheelchairs and tandem surfboards, means that we are able to provide surfing for people who would not be able to surf on their own. Our team approach ensures that whether a participant needs a little or a lot of extra help, we can provide a great surfing experience for everyone. At the forefront of adaptive surfing in the UK, we’ve been busy creating some amazing equipment to increase inclusion. We have the UK’s First seated tandem surfboard which allows us to provide surfing experiences for people who cannot sit up unaided. In the pipeline, you’ll also find surfboards for people who have visual impairments and a tandem body board to improve indoor surfing sessions for wheelchair users.